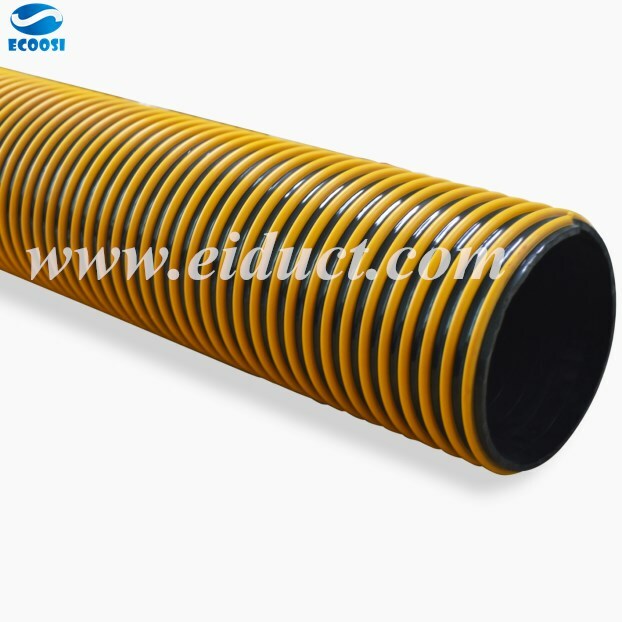 Ecoosi flexible ducting hose - PVC Grit Hose is a flexible grit hose with protective yellow spiral is best suited for heavy dust control and sands material handling. 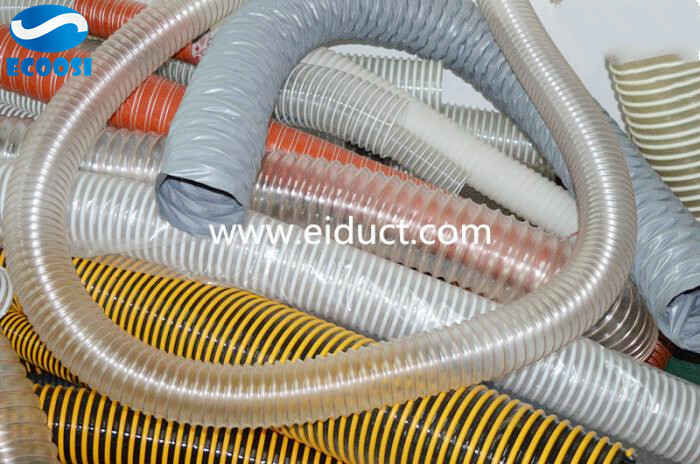 Each material transfer duct is constructed using a special mixed materials with a rigid PVC spiral. This grit hose material is made to withstand abrasive conditions. 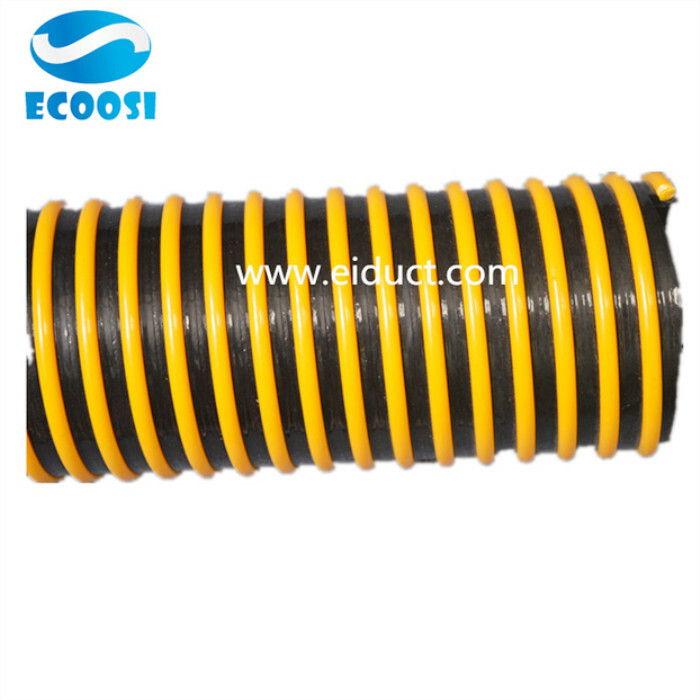 The exterior yellow spiral protects the hose from exterior wear and tear from prolonged use. This material transfer grit hose has excellent crush resistance and tensile strength because of its spiral helix skeleton. Its special materials coating offers excellent abrasion and chemical resistance. Additional coatings are available if better abrasion and/or chemical resistance is called for in your application. This material transfer grit hose can handle both positive and negative pressures making it ideal for wide range of use. 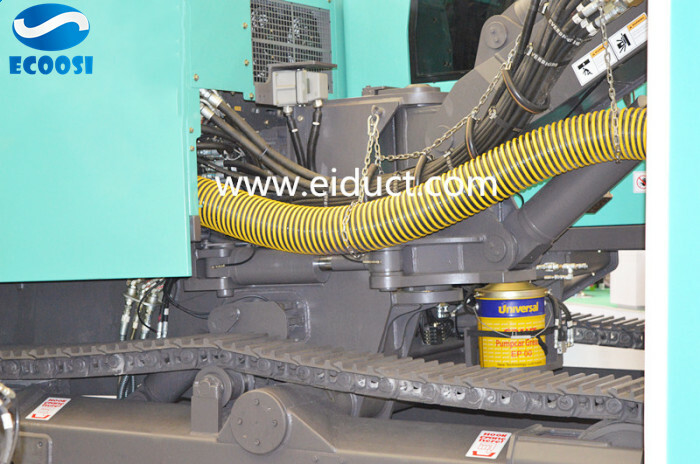 Ecoosi's Grit Hose comes in a wide range of internal diameters from 51 mm to 203 mm. 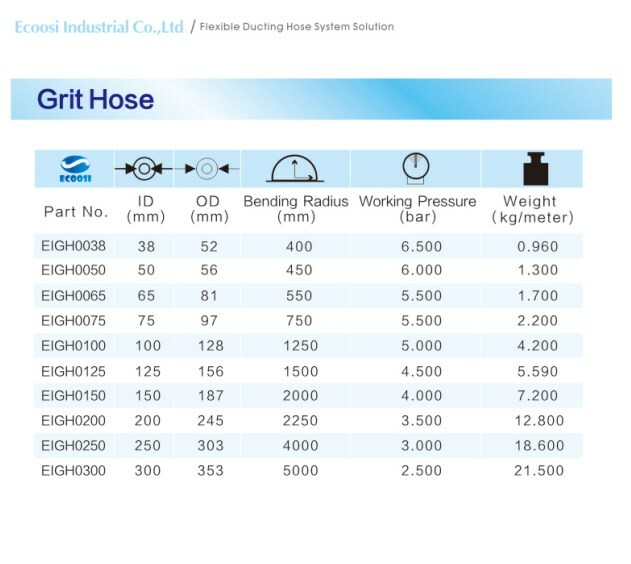 This grit hose has a working temperature range from -20 to +80 Celsius. 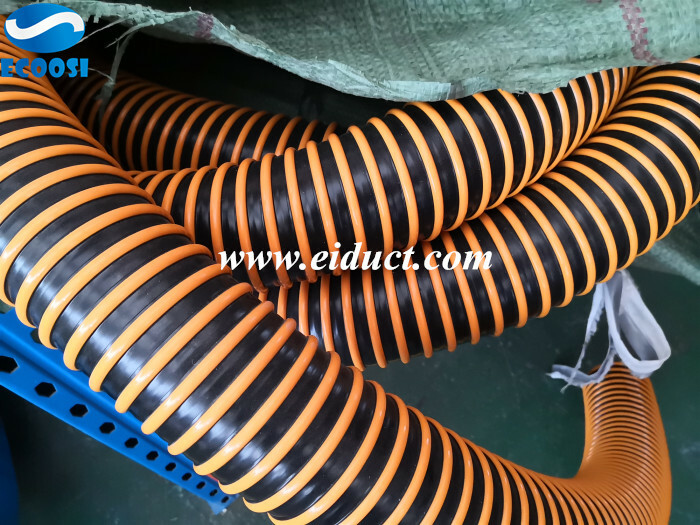 This dust handling hose is ideally used in the following applications, air duct cleaning, bridge cleaning filtering, dust collection, exhaust systems, furnace duct cleaning, sand blasting and tractor pull exhaust.